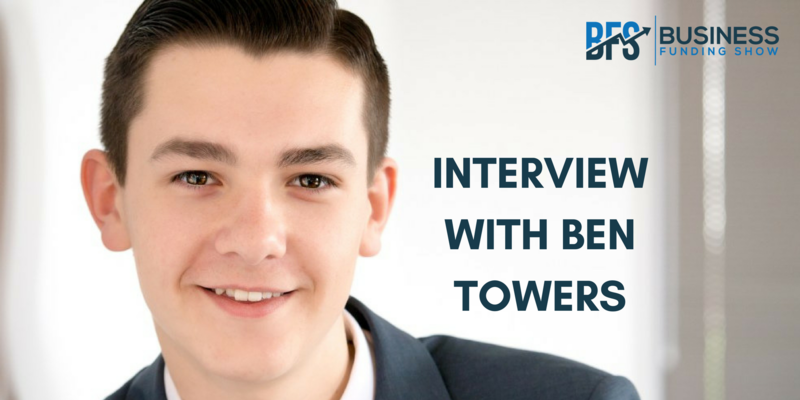 Ben Towers is one of ‘the most influential entrepreneurs on the planet’, whilst still being only 20 years old. Having started in business aged 11, he has since carried out a multi-million-pound merger, invested in disruptive start-ups and inspired millions. He is now on a mission to change the health outcomes of his generation. We spoke with Ben about his incredible journey, his early struggles, the education system, as well as his future goals. Enjoy! Let’s start at the beginning. At the age of 11, a family friend had challenged you to build her a website, and everything took off from there… Did some degree of luck contribute to you finding your passion very early on? I always knew that I had a big interest in building websites, and I was actually already playing around with it even before that, so I wouldn’t necessarily put it down to luck. I’m not a big fan of the concept of ‘luck’ anyway – I think it’s more about getting the doors in front of you to be open at any given time; to constantly keep yourself open to opportunity. Yes, I was fortunate in the sense that my family friend identified this interest in me, and acted on it, essentially becoming my first client. But had it not happened that way, I suspect I would have worked for it to happen some other way. ‘Get up and give it a go’ is your motto. You encourage young entrepreneurs to start their business journey as early as possible. Do you think young people are held back by the current structures of the education system? Definitely. I think there’s nothing more valuable than the ‘school of life’. By just living your life, setting challenges and exploring the world, you will learn so much more than what a textbook can give you. When I built up my company, it never came from me doing a set class. It came from going out and learning and being proactive. The truth is that the more you are out there doing something for yourself, the more you will take in because it interests you. What needs to change in order to encourage more entrepreneurship amongst teenagers, or even young kids? Are we in need of a paradigm shift? The system fundamentally needs to change – I think that there’s a massive problem in terms of the fact that schools just cannot cope with the sheer numbers of students being pushed through the education system. This is ultimately confining us to a lack of creativity, and unfortunately schools just do not have enough time or resources to be able get out of the classroom and stimulate something more in students. The way to make education more engaging is through entrepreneurial-type activities. Now it is understandable that entrepreneurship is not for everyone, but I believe that no matter what you want to do in life, you have to become an entrepreneur in one sense or another. By implementing things like ‘problem solving challenges’ into lessons and curriculums, schools can begin to encourage greater creativity in students. Instead of saying ‘open your textbooks, answer these questions and let me know when you’re done’, you are presenting a problem and challenging your students to find a solution. I think that such open-ended challenges offer a much better way of learning. That is not to say that we should scrap traditional education completely, as we need to possess some fundamental basics from which to draw these solutions, but the key here is balance – there needs to be a mixture of both. How does this lack of real-world problem-solving skills translate into business environments? Sadly, it seems like education and employment are moving further and further away from each other. I think that both parties have a role to play in fixing this. Firstly, education should be a lot more proactive in getting you out into new, business-like settings. When somebody leaves school for the first time and gets their first ever job or starts their business, the jump is massive. It’s so important that schools work to address this gap, so that young people can feel more comfortable making this transition. In turn, when it comes to employers, I think that too often they tend to sit on their high horse so to speak, constantly ordering that ‘more needs to be done’. The reality is that, yes, more does need to be done, but if you’re just going to stand out there and moan, the solution will not present itself. In a situation when the education system fails, the responsibility then falls on managers to help to ease young people into the working world. How did you cope with the increasing responsibility of running a growing business while dealing with your day-to-day secondary school life? Was it a fast-track to maturity? I don’t think it was a fast-track to maturity. I’ll be honest with you, I think I actually missed out on a lot of childhood. I’d finish school at 3:20, come home, start work at 4 and I’d be working all evening. And that was all fine, and yes, it meant the business was going well, but at the same time I wasn’t there to hang out with my friends, and do all the normal things which other kids my age were doing outside of school. It’s almost as if the whole idea of ‘exploring the world’ was missing from that part of my life. It was only after exiting the company last year that I got a chance to catch up, in a sense, by taking some time out and travelling to Thailand and India. This gave me a chance to experience the world in a way I’ve never seen it before. So you felt like it was a non-stop affair, all the way up until you exited? Yes, pretty much. I finished my GCSEs when I was 16, after which I went full time into the company by employing myself as an apprentice. When I did this, it definitely took a bit of pressure off. I also hired somebody else to run the business for me day-to-day, because I’ve realised that my skill and passion lied in the top level ideas thinking: the how can it all work, look and feel. But I needed someone who could implement and action that. This allowed me to get on with what I was best at. At that point I managed to find more time to invest in myself and relax a bit more. I realised then how important work-life balance really is, and that if you get this balance wrong, it could actually hurt your business greatly. I have friends who work 24/7 and then have burn-outs when they cannot work for the whole week… Yes, there’s a degree of dedication which is really important, but at the same time you shouldn’t be afraid to say that you like the fact you also get to go on holiday or spend time with your family and so on. And actually, by doing that, it makes you a better and more effective worker in the long run. What were some of the age-related challenges you came across when you were underage? Did you ever feel like you were treated differently? One of my biggest challenges was business banking. To get a business bank account, you have to be 18 years old, but to be a director of a company, you can be 16. Essentially, I had to stay a sole trader until I was almost 18. But here’s the story… I was very frustrated by the fact that banks had so much say in what I could and couldn’t do, so I took it upon myself to try to change this status quo. I started lobbying some of the national banks, and initially got a bit of traction, but ultimately, they all concluded that the FCA won’t allow it. Finally, I approached Metro Bank. They had a big slogan written on the outside of their branches which read ‘no stupid bank rules’. So I walked in and said that I wanted a business bank account. I said, ‘look, I know I’m not 18, but you say that you have no stupid bank rules, and I think that is a stupid bank rule’. They were taken aback by this, almost shocked, but at the same time intrigued – eventually one of the managers promised that he will make some calls and see what he can do. Sure enough, a few weeks later… I got the account! 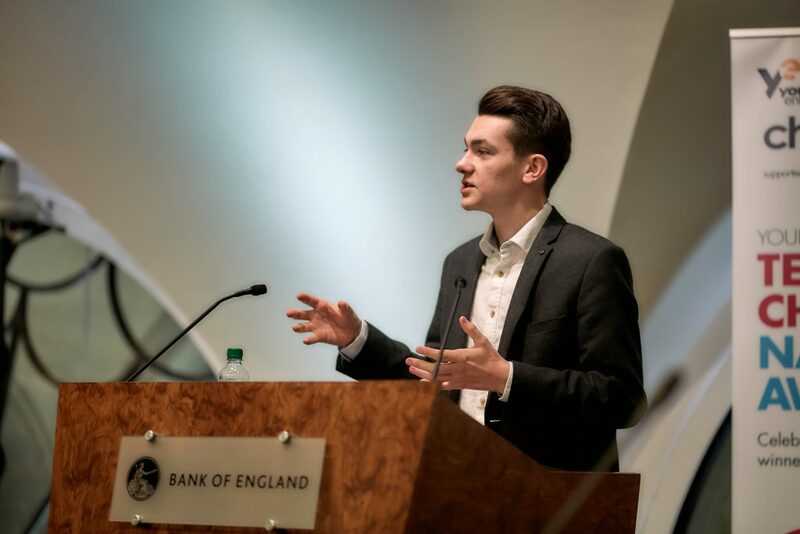 I became the first ever person in the history of major banks to get a business bank account whilst under the age of 18. Since this happened only a few weeks before my 18th birthday, it wasn’t massively urgent at that point, but it was about the principle. Essentially, I’ve now made it possible for other young entrepreneurs to go and open business bank accounts with Metro. Wow! 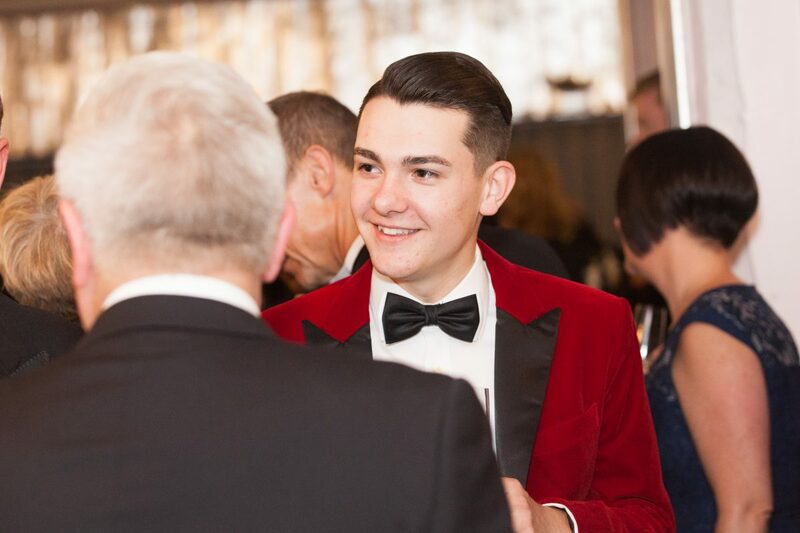 You are definitely a trailblazer in many ways, and of course have received praise from such influential figures as Richard Branson himself. How do you feel about pioneering the new generation of entrepreneurs? Every day I always want to do better; I look at where I am and go – how can I move forward from here? I’m not doing what I do because I want to pioneer or lead a movement – I want to make my company grow to the best of my ability, but at the same time know that I’ve left doors open for other young people to get there. How important is generational diversity for you in business? Was this something that became key for you during the expansion of Towers Design? Nothing frustrates me more than when young people (or older people, to be fair) say that they can ‘do it alone’. I just think that fundamentally, it’s not possible – as a young entrepreneur, you have to have experience on the side; or if you’re older, you have to have fresh, creative ways of looking at things. My right hand man is 61 years old. When we work together, I’d come up with an idea, and he can then say: ‘yeah, but what about X, Y and Z’ – things that I wouldn’t have otherwise thought of. As an experienced person, he would know what to do in the next two hours to make this concept work, and having this level of experience available to you is priceless. We can then work together to find the middle ground, which I generally find is much better than anything either of us would come up with individually. The idea becomes a lot more focused and powerful, because it includes more than one way of looking at things. Without utilising and considering multiple points of view, and learning from older members of my team, I could never have grown my company to its current size. It’s like figuring out how we can be different, but at the same time, still fit into a particular system and way of working. You just need a diverse team for that. You exited your business last year, took some time off for travelling – what’s next? Is there something in particular you’re currently involved with? Following the exit, I’ve actually moved away from the marketing arena. I am now working on a new venture, which will try to tackle the mental health crisis in the UK and around the world. This has become an extremely important topic for me – especially after going to a place like India and seeing the level of poverty and malnutrition experienced by its population. It really opened my eyes to all kinds of problems which people face. When you think about millennials, they are simultaneously known for being the healthiest, and most obese generation in history. How is it possible to be both? We have two extremes. Essentially, everyone’s got a health goal – whether it’s to lose weight, gain muscle, be happy or sleep better, get rid of acne, and so on. That being said, there is not an easy way for a millennial to tackle these health and wellbeing challenges. We live in a world where one in four people suffer from some form of mental health issue. It’s worrying to say the least. Taking this as our premise, we hope to create an app which brings together users, as well as multiple partners (whether this be health experts, institutions like the NHS, or restaurant chains). Our job as an app is to then deliver you a tailored plan, crafted by our experts, to help you achieve your goal, whatever it might be. The key thing I would like to outline is that we will not be charging users for this app, because fundamentally, I don’t think that somebody should ever have to weigh up their health with their bank balance. I think that in the modern day, access to living a healthy life should be a given. We’re looking to build offline communities called ‘tribes’, where you can join a group of like-minded people, and tackle mental health issues together, building meaningful offline connections. That is indeed a change of focus. Would you say the trip to India was a turning point for you? I think the trip to India completely changed my life. My honest advice, which I now give to anyone I meet, is to go to a country like India – a third-world, developing country – it really gives you a new perspective on life. After you come back, it motivates you, because you realise how lucky and fortunate we are to live in the UK. Most people who I spoke to in India were saying that they would love to be living in London. They all want to be here, because they recognise the opportunity which exists in the UK. Then you chat to people who live here, and most of them say that they want to be in New York or San Francisco, etc. But you know what? The opportunity is here in the UK, and we would do well to appreciate that. I think people get so fixated on saying that things could be better, that they totally take what we dohave for granted. Your mission to tackle the mental health crisis is certainly a great way to make a difference and give back to the community. Building on that, what else drives you? What are your values? And what is the lesson for entrepreneurs in general? One of my big values is cherishing my team. What I mean by that is really treating them like family – and this isn’t just about going out to nice lunches every now and then. What are you doing outside of work together, how are you really fostering that community? At the agency, we’d go away to ‘innovation labs’ every month, to somewhere completely new, which allowed us to be more open to finding new solutions to new problems, as well as exploring the world and being together as a unit and a team. The second thing, which we touched on earlier, would be the work-life balance. Too many entrepreneurs do not invest back in themselves. I think this is so, so important. On the other hand, if you’re building something because you know that you’re going to impact something else, change the world in some way… I think that keeps you more motivated, more alive in what you are doing, and provides a lot more fulfilment. We sincerely hope that all our readers will be inspired and motivated by Ben’s example! Want to get a feel of what BFS events are like or can't afford to wait for a few months to meet funders? Join us at our full-day Investment Conference on Nov, 13th.